Renew your mortgage license the easy way! You don't need books, CDs, or special software. If you can read this, you have everything you need to get started on your mortgage license training! Our program has been rigorously reviewed, approved, and authorized for continuing education credit by the Nationwide Mortgage Licensing System (NMLS). 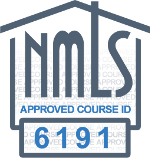 Our 8-hour continuing education course meets the NMLS course guidelines for continuing education credit. Start with OnlineEd's NMLS Mortgage CE package! MLOs are required to take a minimum of 8 hours of continuing education every year. Please check with each state to learn if you need to take additional credit hours. See this handy PDF for details. Our 8-hour Originator Essentials package covers all of the courses required for continuing education in most states.